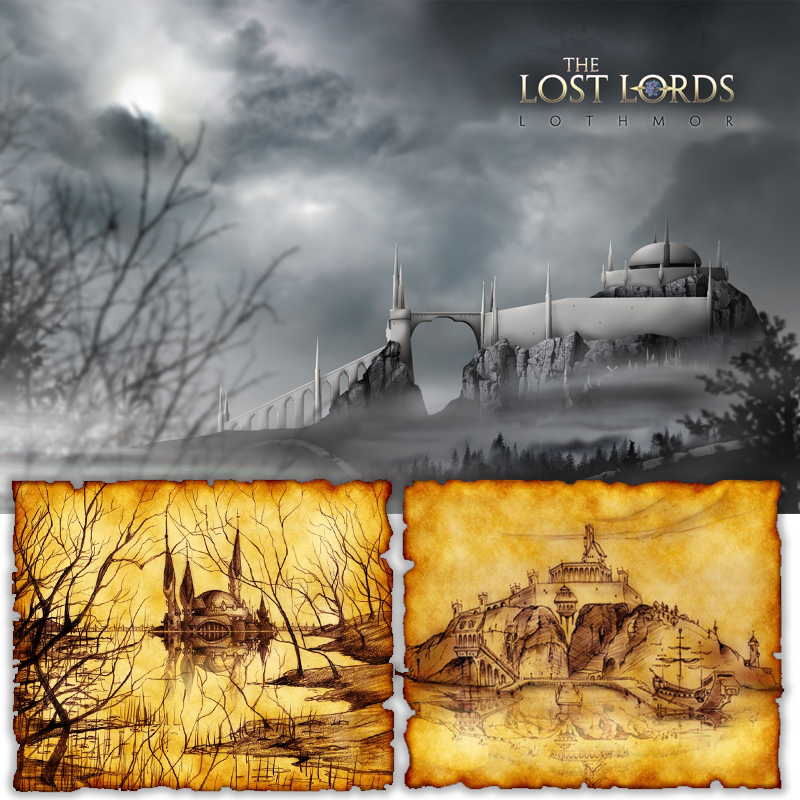 Illustrate fantasy locations for graphic novel in development. 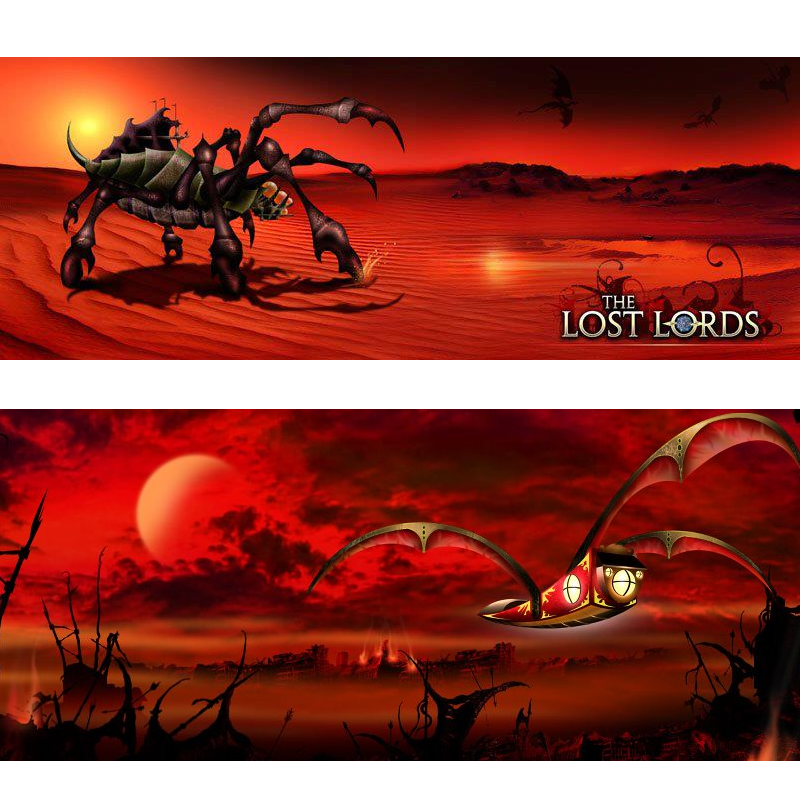 Pencil sketches and full renders shown. 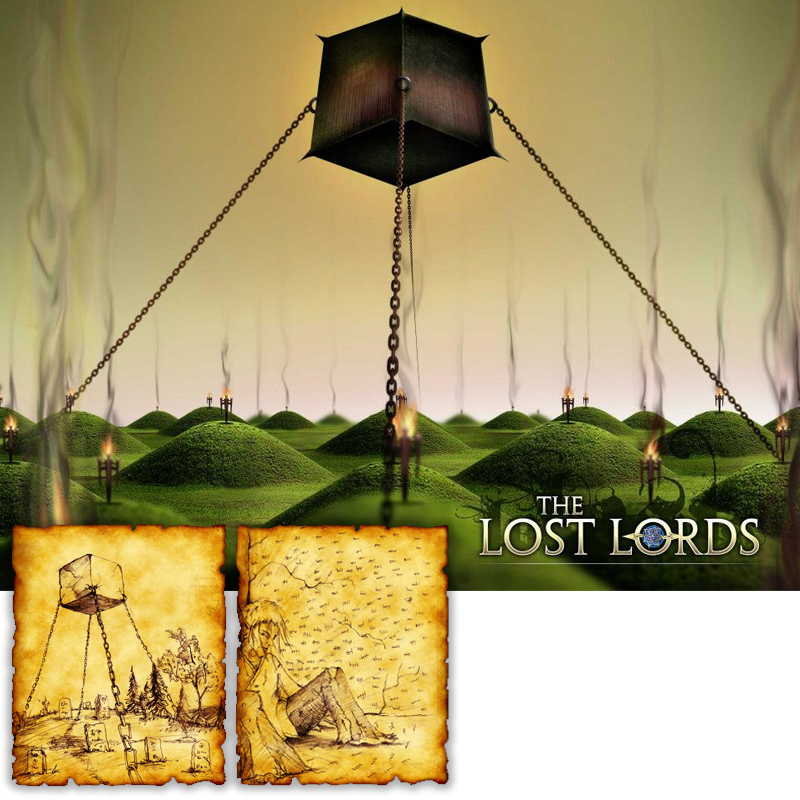 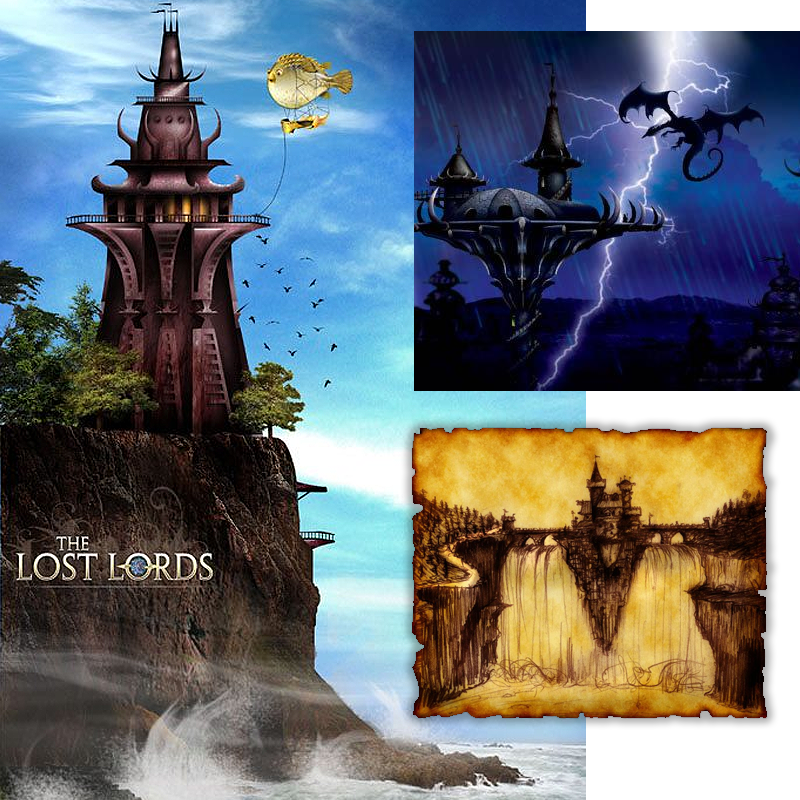 These dramatic renderings in a cinematic landscape composition including many detailed panoramics for Lost Lords, were created for website development and interactive map of the Lost Lords.